SharePoint Server Object Model Programming allows you to write code and communicates with SharePoint objects if you are inside SharePoint context. It provides a set of classes which is executed at server side. 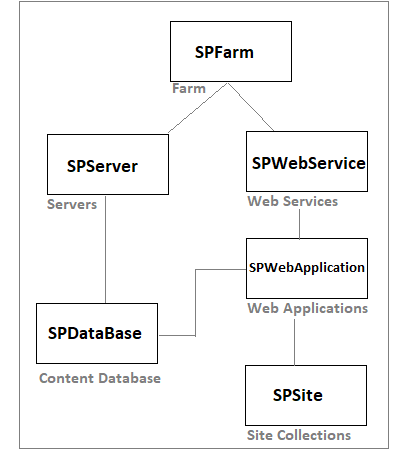 Server Object Model Programming is same in SharePoint 2010 and SharePoint 2013. In this blog, I will demonstrate SOM programming in SharePoint 2013 using Visual Studio 2015. You can use Server object model in a console application, windows form and other ASP.Net Applications. In SharePoint Server Object Model it is necessary to reference Microsoft.SharePoint dll in the working project. You can implement SOM model in a system only if SharePoint Server is installed. Below code snippet will give you current Farm details. Below code snippet will create a site in your web application. SPWeb objWeb = objSite.RootWeb.Webs[""];//leave it empty and run the code. Please visit my Youtube Channel for these SharePoint 2013 Server Side Object Model Demonstration.